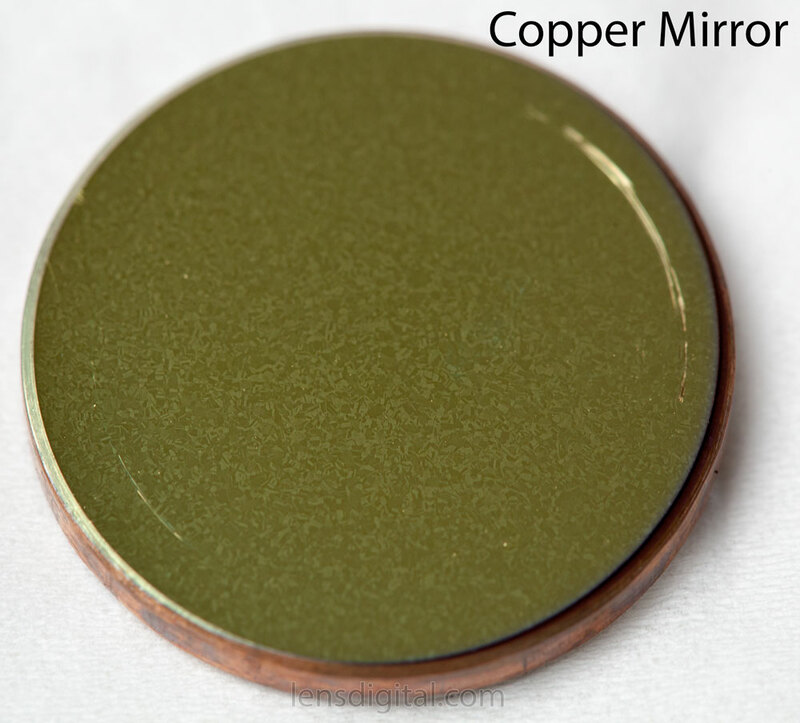 Back in February I wrote a post about mirrors used in CO2 laser machines. Here’s a little update. Several months ago I noticed that my 3rd (Si type) mirror is not doing so well. 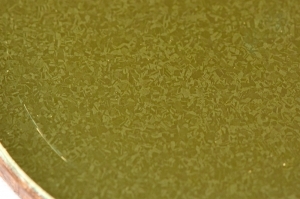 Tiny dots like a grain on old photo started to appear on it, and they wouldn’t get cleaned by alcohol or acetone. Worrying that I might loose it soon I decided to give a try to Copper mirror and ordered on eBay from China. Price was comparable with Si mirrors and I would pay more if I could find a reputable seller like LightObjects, but unfortunately that was all I can find. Mirror arrived and I quickly inspected it’s quality. It does seem to be made out of Copper, but it’s also seems to be plated with something on one side. And it didn’t look spotless. In fact with unaided eye mirror’s surface seem to be in pretty bad shape, almost as bad as mirrors that originally came with my machine. Upon closer inspect under macro lens, I discovered that “spots” actually have crystal like structure. I decide to give it a try and it doesn’t seem that laser’s cutting was affected by mirror quality. After few days of using it I took it to clean inspect and discovered another unpleasant surprise. Whatever coating this mirror had was super sensitive to scratches. Just gently wiping it with cotton swab left traces. Where mirror was pressed by metal of the holder, deep scratches were left. 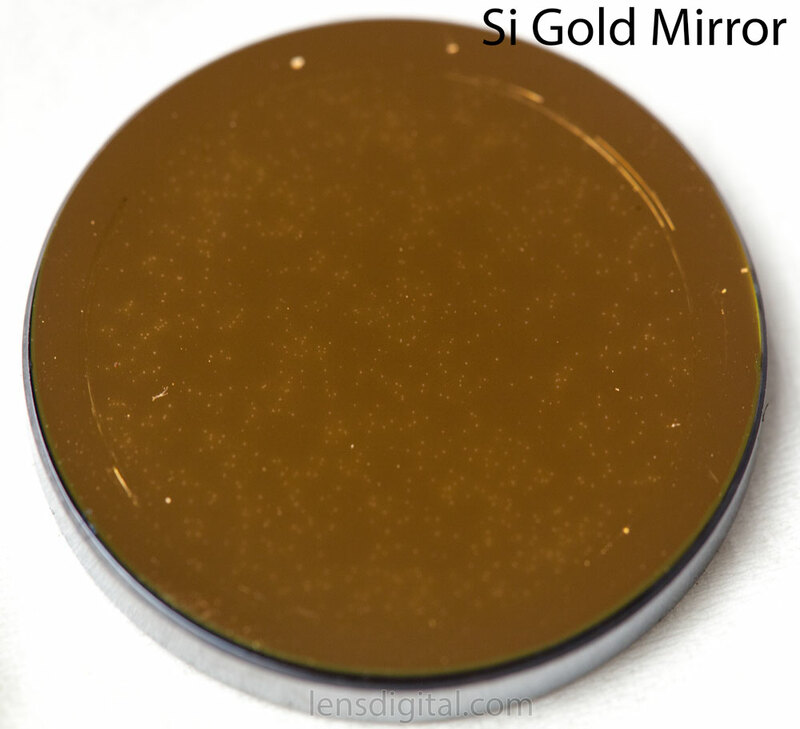 Believe it or not it appeared to be more scratch prone than gold plated Si mirror! I really want to try Molybdenum mirrors, but first I’ll give mirrors made out of hard drive platters a go. I already stockpiled lots of those platters, just need to figure it a good way to cut them..